What Is Norwegian Cruise Line? 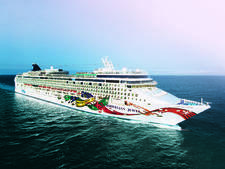 Norwegian Cruise Line is a mainstream cruise line that offers itineraries throughout much of the world, with particular emphasis on the Caribbean, Hawaii, Alaska and Europe. 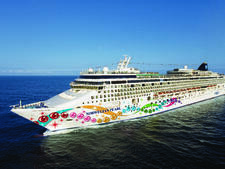 Norwegian cruise ships are easily recognizable due to their elaborate hull paintings, with the newest ships' artwork designed by such painters as Peter Max, Guy Harvey, Wyland and David "LEBO" Le Batard. Norwegian Cruise Line was originally founded as Norwegian Caribbean Line in 1966 in Norway and is today owned by Norwegian Cruise Line Holdings Ltd.
How many ships does Norwegian Cruise Line have? By the end of 2019, Norwegian Cruise Line will have a fleet of 17 cruise ships, with six more scheduled to launch between 2022 and 2027. Throughout the rest of the world, and at various times of the year you'll find Norwegian Cruise Line ships leaving from Auckland, Buenos Aires, Cape Town, Dubai, Hong Kong, Papeete, Singapore, Sydney and Tokyo. Norwegian Cruise Line ships can range in size from holding 2,000 people to 4,500 at full occupancy, and the number and variety of onboard dining and entertainment options vary a lot depending on how big, and old, the ship is. The newest ships, those that launched in 2010 or later, have many more restaurants than the older ships, Broadway shows in the main theater (as well as secondary small-venue shows) and extensive top-deck activities including water parks, rope courses and more. They're busier ships, where the ship and all it offers is as much a reason for cruising as the destination. The older, smaller ships are more about relaxation and traditional onboard activities like trivia, bingo and poolside games. However, when it comes to dining, all the ships have multiple main dining rooms, a top-deck buffet and a 24-hour diner-type eatery; all also have an extra-fee steakhouse, Italian trattoria and French bistro. Unlike other big-ship cruise lines, Norwegian Cruise Line does not have traditional set-time dining on any of its ships. Cruisers can show up to any main dining room at any time they want during open hours. Large parties can make reservations if they'll need a larger table; for everyone else, there may be a wait during peak dining hours. Reservations are highly recommended for the smaller specialty dining venues, as time slots fill up fast. Who goes on Norwegian Cruise Line cruise ships? 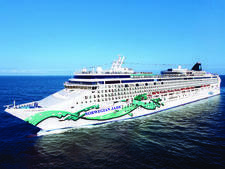 Norwegian cruise ships draw a diverse crowd, though the majority of passengers on ships sailing to the Caribbean and in Alaska and Hawaii hail from North America. You'll find a decent number of people from other English-speaking countries, and smaller numbers from South America and Europe. On European cruises, North Americans still dominate but you'll find more people from the United Kingdom and other European countries. 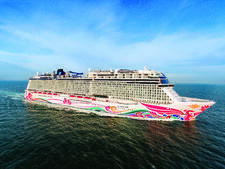 One ship, Norwegian Joy, was designed specifically for the Asian market, and the vast majority of passengers on this ship will be from China. You'll find plenty of young families onboard Norwegian ships, especially during holidays and school breaks. However, the line's newest ship, Norwegian Bliss, is less family-friendly than the line's other ships, with all the kids clubs on the lowest levels of the ship and onboard entertainment that is decidedly adult. Norwegian Cruise Line maintains a casual atmosphere onboard; during the day, casual wear is the norm. There's no formal dress code at night either, though most people do change into something slightly less casual for dinner. Additionally, some of the specialty extra-fee restaurants do require long pants, collared shirts and closed-toe shoes. Most evenings you'll see men in dark jeans or khakis and collared shirts, and women in blouses with slacks or skirts, or sundresses. Don't be surprised if you see people in shorts in the main dining rooms. Norwegian doesn't have any formal nights, but there is an optional Norwegian's Night Out at least once per sailing, for which passengers are encouraged to dress up. You'll rarely see a tux or gown, but suits and cocktail dresses are not unheard of. Norwegian ships also typically hold several themed nights (glow party, '70s or '80s, etc.) during a typical sailing. You might want to bring a few appropriate items, such as white clothing for the glow and white parties or bell bottoms for '70s night. What are Norwegian Cruise Line's most popular activities? On warm-weather cruises, the main pool is the line's most popular spot onboard. On ships with water slides, ropes courses, go-kart tracks and laser tag, these are also popular and often require a wait of up to 30 minutes or more. Inside, you'll find activities that range from trivia, bingo and Deal or No Deal during the day to song-and-dance revues or Broadway shows in the theater and live music or cabaret shows in the evening. Norwegian ships also have a lively bar nightlife. There's also an always-busy casino, which opens when the ship is out to sea. Is everything free on Norwegian Cruise Line? No. Unless you have an all-inclusive dining or beverage package (which you can buy), you'll have to pay extra for most gratuities, specialty dining, room service, all drinks (alcoholic and non, except water, select juices at breakfast, and coffee and tea), shore excursions, visits to the spa and any retail purchases, including photos. On the newest ships, you'll also have to pay for some of the entertainment options and even some of the top-deck fun: On Norwegian Bliss, for example, the laser tag and go-karts cost extra. Norwegian Cruise Line specializes in flexible, laid-back cruises with ample restaurants and entertainment options. Norwegian cruisers hail mainly from North America, and vary from young families to retired couples. 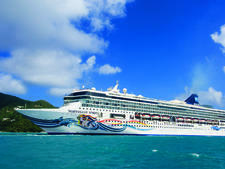 Norwegian Cruise Line has a fleet of 16 cruise ships.